This week’s winner comes to us from friend of the show @EastCoastGamblr with a pic that embodies the bipolar personalities of Downtown Las Vegas. 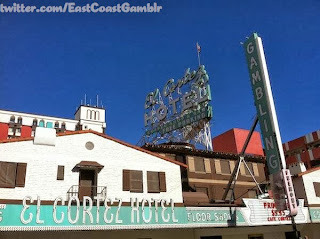 The picture is of the often-photographed signage at El Cortez. However this picture was taken during the day. Daylight makes this signage look both classic and old school as well as old and run down. Most properties on Fremont St. have this multiple personality issue from day to night. 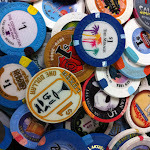 It evokes memories of what its like to visit Vegas and somewhat akin to the Coyote Ugly syndrome. At night, it looks over the top beautiful. In the morning, you find what you went to bed with is not what your remember it looking like while property lubricated at 3 am. Only on Fremont St do the buildings look like your morning hangover feels like.